It’s a well known fact that summer is the hottest time of the year. And, let’s face it…when you add heat, kids, and outdoor activities together you’re bound to get an irritable mixture. Then when the kids are irritable mama and papa usually wind up grumpy too. Luckily for our family and yours…Pigeon Forge has a great mix of indoor and outdoor activities to keep everyone cool in the summer heat! Our favorite place to escape during summer visits to Pigeon Forge is Dollywood’s Splash Country. It is so family friendly with its many areas that span the interests and skill abilities of all ages. Peanut, who likes to think she knows how to swim, loves to hang out in the Bear Mountain Fire Tower where she can climb around and get wet all by herself. I love the peacefulness of floating down the lazy river on a tube…I have even been known to grab a little nap while floating. Dad and Jellybean get lost for hours in the wave pool. The girls also enjoy the many water filling stations where they can squirt mom and dad endlessly with cool water toys from the gift shop. Best of all, there are a couple of slides that we can do together as a family. Being together in the big raft, hearing the little divas as they squeal, and watching the huge smiles on their faces as water splashes us is priceless. Having fun in the water definitely makes you lose track of how hot it can be! 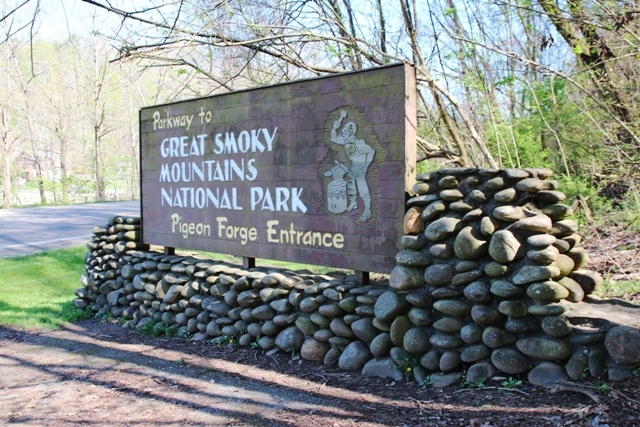 Day trips up into the Great Smoky Mountain National Park have helped keep us cool as well. It is often cooler the higher up into the mountains you go. Many of the trails leading up to the waterfalls and streams are very shaded. The temptation of playing in the fresh mountain water usually gets the best of Jellybean and Peanut so they both end up getting back into the car just a little on the wet side. While Dollywood has lots of rides and activities, there are also plenty of indoor places there to cool off too. When the little divas start complaining, we grab a drink and visit one of the indoor shows or exhibits. We often take advantage of the “Arrive after 3 pm, the next day’s free” to help offset the heat of the day and allow for a little afternoon nap to make dealing with Peanut more pleasant. Some of the other great indoor activities that we can spend hours enjoying are WonderWorks, Magiquest, and bowling at the Community Center. If all else fails and the little divas just need some down time, a movie at the Forge Cinemas always does the trick. The girls are excited to try the Hollywood Wax Museum this summer. We like to end our day at the Old Mill Creamery for an ice cream treat. Nothing beats the creamy taste of ice cream in the summer plus it is nice to sit together and relive the day’s adventures. 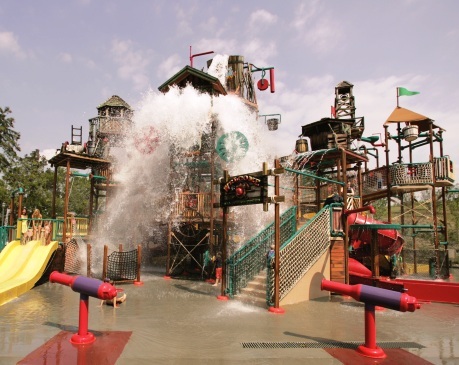 Don’t let the heat stop your family from having fun in Pigeon Forge! Too much fun awaits to miss out!